Geographic range: This species is found in the central pacific, but other stalked crinoids can be found in deep water globally. Description: The defining feature of all Sea Lillies are their stalks which extend their head (calyx) and arms above the seabed. Their tall stature allows them to filter feed in the higher currents found just above the seabed. 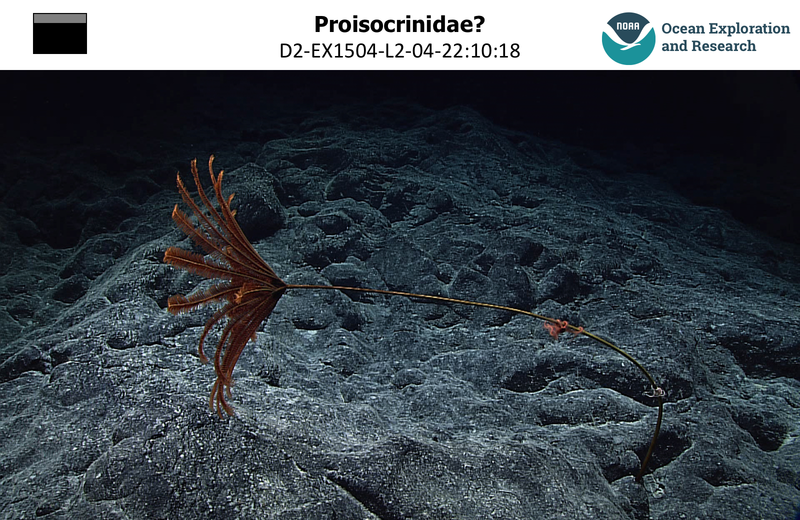 These stalks can even provide structure and habitats in the deep-sea as can be seen from these images taken by Okeanos expedition to the Hawaiian Archipelago in 2015. 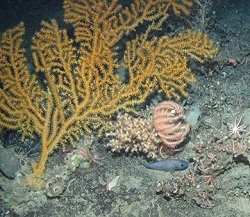 Most other extant species within the class crinoidea do not have stalks, in fact, stalked crinoids are no longer found in shallow seas so are often described as ‘living fossils’. The existence of such ‘living fossils’ in the deep sea was predicted by Darwin’s theory of evolution. Darwin hypothesised that in more stable ecosystems such as the bottom of the oceans, species would find an ecological niche and would remain unchanged for millennia while their shallow water or terrestrial counterparts would become extinct due to an ever changing environment. In December 1872 the Challenger expedition was launched to, among other things, find evidence for Darwin’s theories. 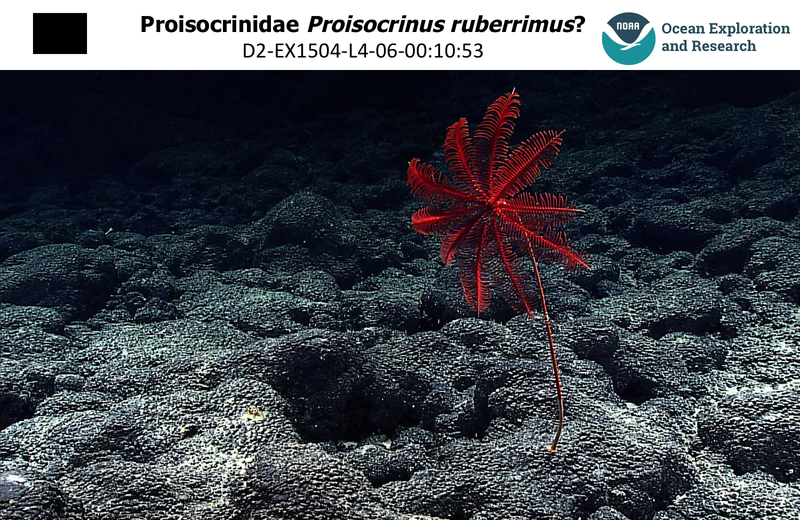 Just one month later the Challenger dredged a species of sea lily from approximately 1,800m depth off the coast of Portugal and claimed this specimen as evidence of darwin’s theory of evolution or as it was known at the time “dissent with modification”. 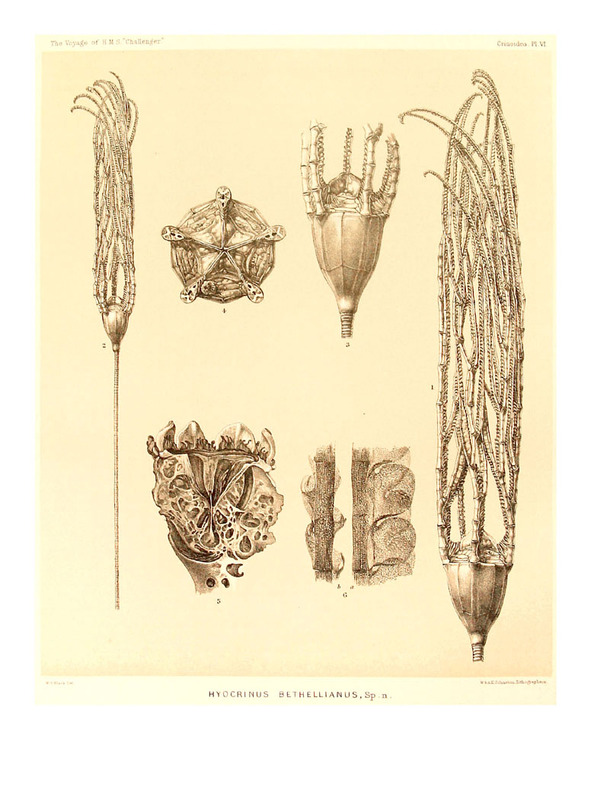 More drawings and descriptions of Sea Lillies from the Challenger expedition can be found in the electronic edition of the Challenger reports: Part XXXII. – Report on the CRINOIDEA. First Part.-Stalked Crinoids. By P. H. Carpenter, D.Sc. 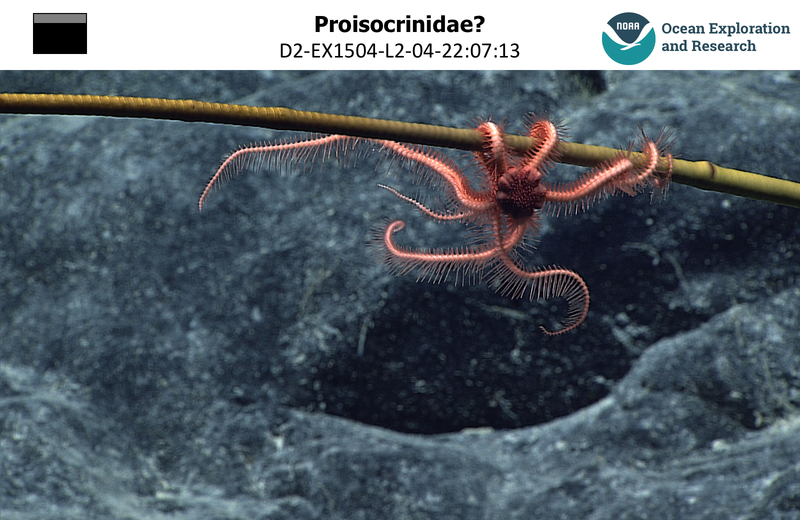 Check out Echinoblog for more information on stalked crinoids (and all things echinoderm)! Find more pictures of sea lillies on NOAAs Okeanos Animal Guide, and don’t forget to watch the live ROV footage and the playback from the Okeanos Explorer expeditions. ← CREATURE FEATURE: Gorgonocephalus sp.